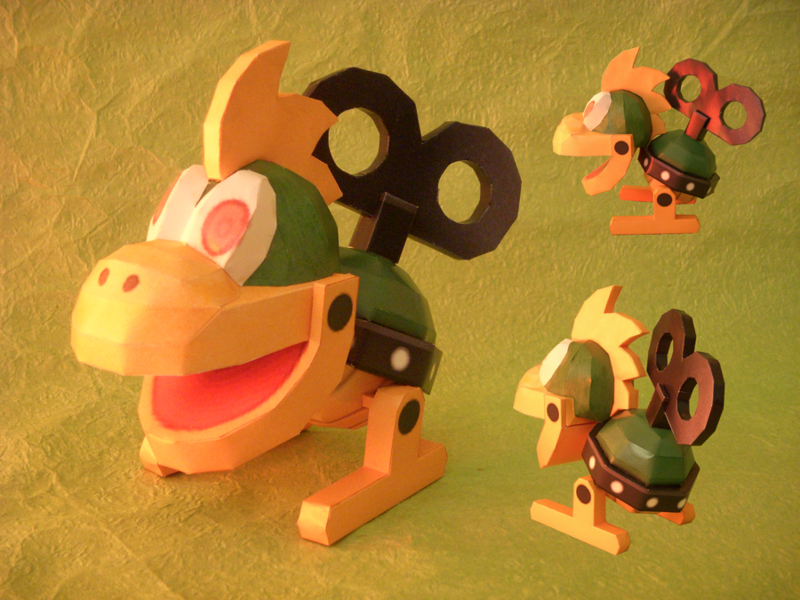 This mario papercraft is a Mecha-Koopa, created by SebCroc. Mecha-Koopa, also called Windup Koopas in the New Super Mario Bros. Wii game guide, are one of Bowser’s many minions. They are small mechanical versions of Bowser himself, resembling a wind-up toy. They have a wind-up key on their back and their appearances feature several mechanical appendages. They walk in a rhythmical way and must wind themselves up again from time to time in order to keep moving.